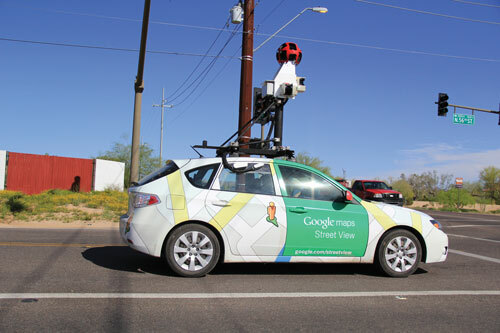 Google is one of many companies developing self-driving vehicles. Self-driving cars are hitting the road in more areas, but only a handful of states have enacted laws legalizing them. A recent Washington Post article describes how states such as Virginia and Texas are welcoming the potentially lucrative new industry and keeping regulations to a minimum. Researchers at the U of M’s Humphrey School of Public Affairs have studied the regulatory framework and policy challenges self-driving vehicle technology may face in Minnesota. Their white paper also examines the current status of this technology and the implications for road safety, capacity, travel behavior, and cost. The preliminary white paper—Self-Driving Vehicles: Current Status of Autonomous Vehicle Development and Minnesota Policy Implications (PDF)—was written by Adeel Lari, Frank Douma, and Ify Onyiah of the Humphrey School’s State and Local Policy Program.